PRICE REDUCED 25000 FOR QUICK SALE. 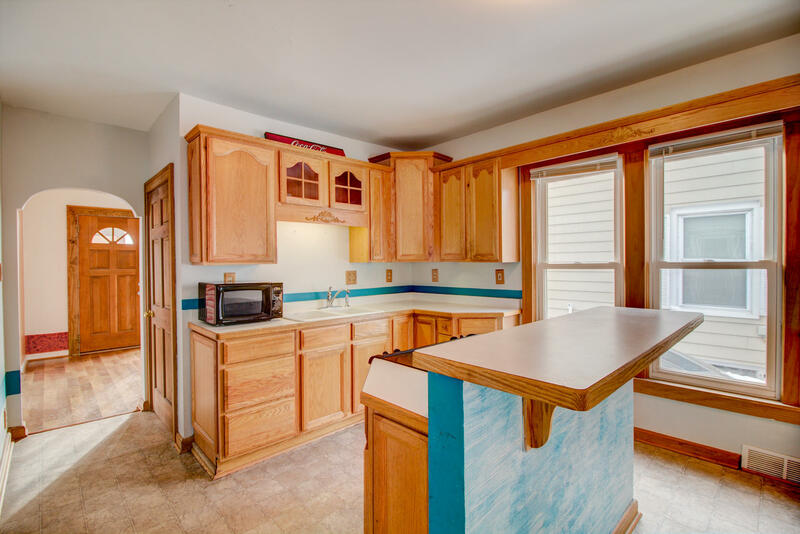 Rare find in the city of West Allis a 4 bedroom home on a great corner lot. with lots of old world charm. Kitchen has a walk in pantry and a kitchen island equipped for 4 stools living / dining room with a built in china cabinet. Front foyer with an enclosed front porch for the summer nights. Great fenced in yard for privacy. Also includes central air newer mechanic's Home warranty included. Home sold '' AS IS''.